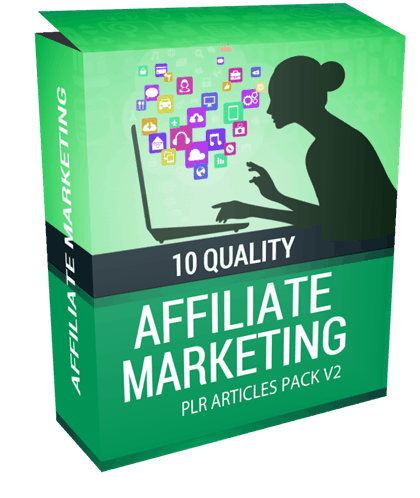 In this PLR Content Pack You’ll get 10 Quality Affiliate Marketing PLR Articles Pack V2 with Private Label Rights to help you dominate the Affiliate Marketing market which is a highly profitable and in-demand niche. 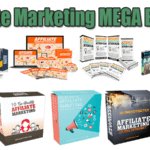 Every single day hundreds of newbies decide to start on the affiliate marketing journey. The sad fact is that over 95% of them will fail miserably and quite. 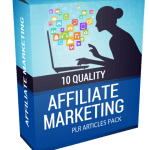 The road to successful affiliate marketing is littered with the carcasses of the thousands who have tried and failed. This may seem grim and bleak… but it is a wakeup call. 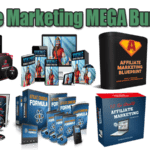 Too many newbies believe that with barely any effort, they will be able to make a whopping five figure income online within a month or two. They are lulled into a sense of complacency and are deluded into believing the promise of easy money. 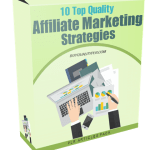 The truth is that success with affiliate marketing is just like success in any other endeavor. Effort, sweat, pain, sacrifice, money, time, etc. are required. You will be required to give up a lot, to learn more than you ever dreamed of, to struggle with paltry results for a while, to experience the pain of defeat many, many times… Do you have what it takes? You do? Really?… Good. That’s excellent. That brings us to the first most common mistake. This one mistake alone separates the winners from the losers. You only lose when you quit… because quitting is an act of finality. Where else can you go from there? What other hope is there when you quit? The affiliates who succeed are the ones who quietly, doggedly stay on course even when the results are measly and the outlook is bleak. This the longest part of the journey… and it’s a test. 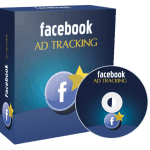 Once you pass it, you will be the affiliate that makes big money. It will take a while to get there… so don’t give up. This affects the best of us. In the beginning, everyone says that they will do whatever it takes. 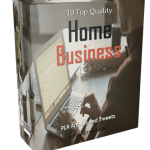 Later on, when they realize that they might have to learn something new, such as using an autoresponder, they slowly try to escape by not trying to build a list. The reason for this is that effort has to be expended to learn what needs to be learned. You have no choice. Failure to learn what you need to learn will cripple your business and hamper your progress. Take the time to learn what you need to do. If you’re really not keen to learn, you should outsource the job to someone who knows how to do it.